Celebrate the 2018 holidays with Central Oklahoma Ballet's 23rd production of The Nutcracker. It promises to be an enchanting evening (and afternoon) for both young and old. What a wonderful way to begin the holiday season! This year’s production will feature magical sets, beautiful costumes and world-class dancers, with guest artists -- as well as local dancers from Yukon, Mustang, Piedmont, and El Reno. Online ticket sales have ended for the 2018 performance. Enjoy the show! Follow Clara on her magical journey to the Land of the Sweets when the Central Oklahoma Ballet Company presents the Christmas classic, The Nutcracker. The production features professional guest artists along with local members of the community accompanied by the Oklahoma Community Orchestra conducted by Irvin Wagner. This year’s performance features members from the Colorado Ballet and Oklahoma City Ballet. Audiences of all ages will enjoy the exquisite performance, complete with rich costumes and colorful scenery set to the beautiful score composed by Tchaikovsky. Performances will be held Saturday, December 1, 2018 and Sunday, December 2, 2018 at the Yukon fine Arts Auditorium. Tickets are $15.50 in Advance and $20.00 at the Door. 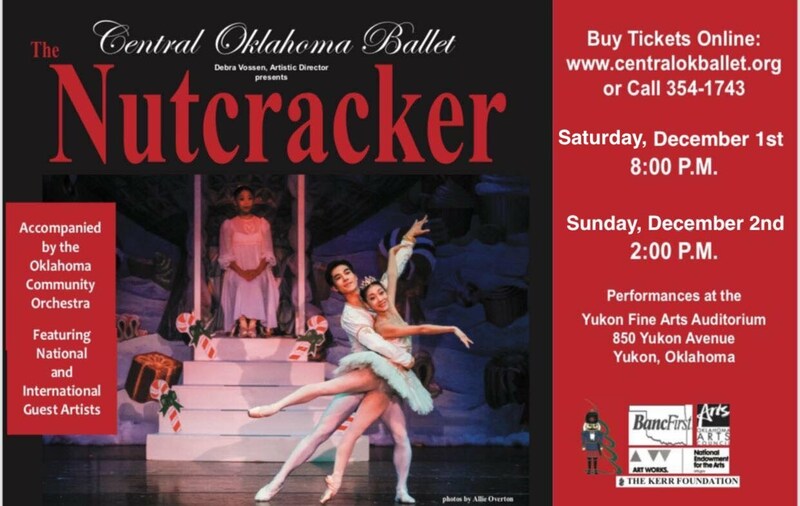 Advance tickets are available at the following locations: All Yukon National Bank locations, Midfirst Bank inside the Yukon Wal Mart, or online at www.centralokballet.org . For more information call 405-354-1743. 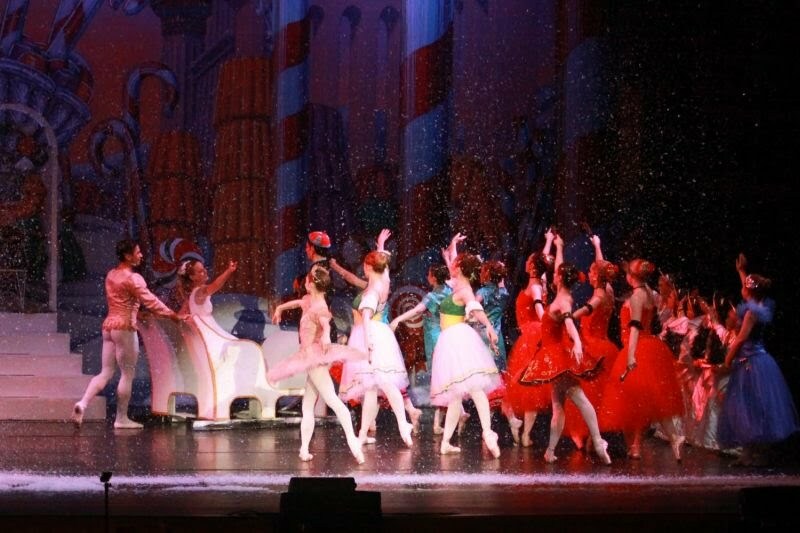 The Nutcracker is sponsored by the Oklahoma Arts Council, National Endowment for the Arts. For the fourth year, we are pleased to announce that the production will include the Oklahoma Community Orchestra. This year’s production will be more enjoyable than ever with the addition of the Oklahoma Community Orchestra, conducted by Dr. Irvin Wagner, playing the beloved Tchaikovsky score. Originally founded in 1993 as the Yukon Civic Ballet, The Central Oklahoma Ballet Company had humble beginnings—starting with only a few dancers, a shoestring budget and performances confined to a small venue. Since then, audiences, contributions, and sponsorships have grown, enabling the ballet company to move to a larger venue—the Yukon Fine Arts Auditorium—and bring in professional dancers for principal roles. We’ve also been able to expand our costume inventory and enhance our sets and special effects. As support for the production has grown, the board has expanded its vision of bringing the beauty of dance to neighboring communities, and as a result, became the Central Oklahoma Ballet. We strive to enhance the cultural life of Central Oklahoma through the beauty of classical dance and the magic of theater. Our goal has been to develop local talent and provide a professional forum for local dancers while exposing children of all walks of life to classical ballet, and to do so at an affordable price. 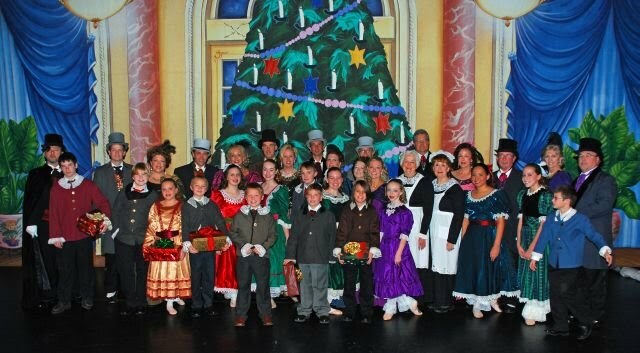 This annual holiday event provides a unique opportunity for the local dancers to perform with national and international professionals—much to the delight of audience members. Our goal is to provide this cultural treat at the lowest cost possible to reach out to the whole community. In order to do this, we depend on many great supporters—businesses and individuals—to raise the thousands of dollars it costs to put on a first class production. 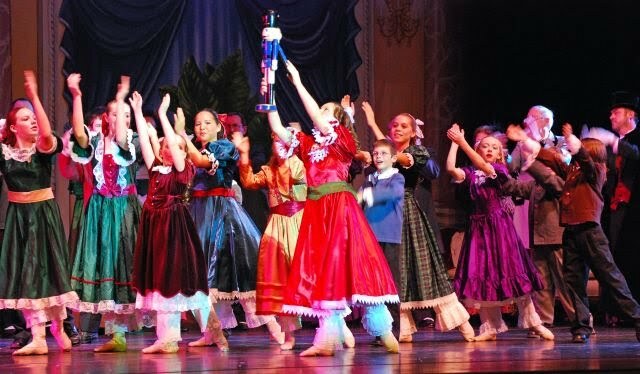 The Central Oklahoma Ballet Company received grants from the Kerr Foundation and the Oklahoma Arts Council to help support the 2011 Nutcracker production, in addition to funding from the National Endowment for the Arts and Bank of Commerce. We appreciate their support. Before and after each Nutcracker performance, and during intermission, our Ballet Boutique is open, offering enchanting ballet and nutcracker items. Our growing audience is a great place to promote your business or organization. We offer advertising in our commemorative program at affordable rates, and program recognition for our sponsors. Please contact us to learn more. Debra Doran-Vossen, Artistic Director for Central Oklahoma Ballet, began her dance training at the age of five with Virginia Dove Ramsel. She also received training from Yvonne Chateau, Miguel Terekow, Maria Tallchief and Victoria Leigh. She has studied with Ballet Oklahoma, Ballet West, Star Danias, Douglas Wassell in New York City, and abroad with the Royal Dublin City Ballet in Ireland. Debra earned her BFA in ballet from the University of Oklahoma where she was a member of the ballet company now called Oklahoma Festival Ballet. Debra has successfully owned and operated her own dance studio for over 20 years in Yukon, Oklahoma. Her students have received dance scholarships from Joffrey Ballet, American Ballet Theatre, Pacific Northwest Ballet, University of Oklahoma, University of Central Oklahoma, Wichita State University and Oklahoma Summer Arts Institute. Many of her students are currently in professional companies, as well as choreographing and teaching. Debra has directed the Central Oklahoma Ballet’s productions of The Nutcracker since its inception as the Yukon Civic Ballet in 1993. Debra has a strong commitment to promoting arts and culture in Central Oklahoma. She continually hosts ballet guest artists, and she has coordinated community art shows, community theatre performances and “Music under the Stars.” She is a past president of both the Yukon Art League and Old Central Culture Council. Her goal is to create an enriching and supportive environment for the arts. Our Assistant Artistic Director is Stephanie Currey, who has served in this position for several years and is a teacher at the Doran-Vossen School of Dance. She is also Assistant Director of Programs for the Oklahoma Arts Institute. The Central Oklahoma Ballet Company is guided by a volunteer Board of Directors, led by President Patti George. The Nutcracker is made possible, in part, by a grant from the Oklahoma Arts Council and the National Endowment for the Arts. © 2018 The Central Oklahoma Ballet Company. All Rights Reserved.